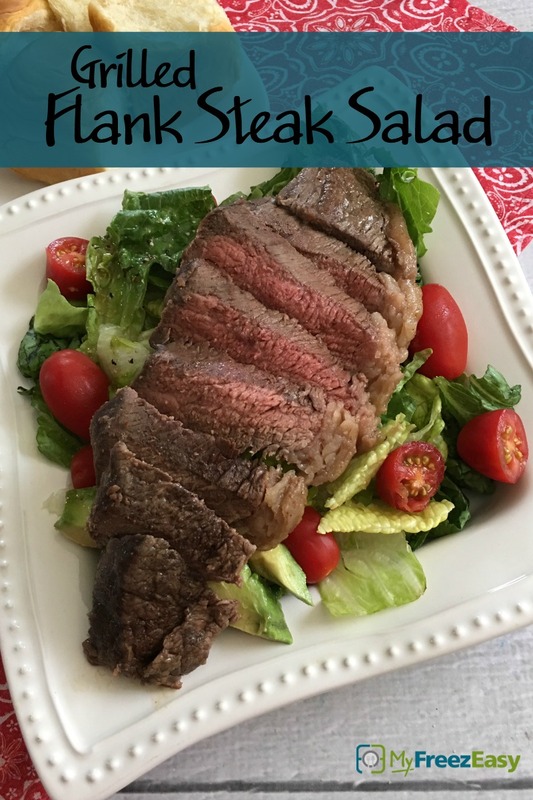 This deliciously marinated steak on top of a bed of greens is simply wonderful! In a large mixing bowl, whisk together the canola oil, lime juice, honey, minced garlic, chili powder, ground cumin and salt. Place the flank steak in baking dish and pour the marinade over the top. Cover with plastic wrap and marinate in the fridge overnight, ideally. Grill the flank steak over direct heat, until cooked to your preference. Slice across the grain, before adding to salad. Assemble salad with lettuce, sliced steak, cherry tomatoes and avocados with favorite vinaigrette. 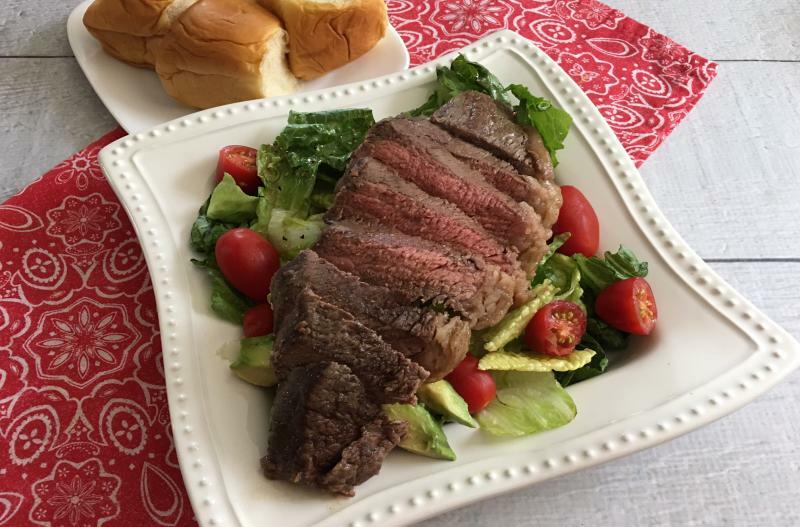 Serve Grilled Flank Steak Salad with dinner rolls. In a large mixing bowl, whisk together 6 Tbsp canola oil, 6 Tbsp lime juice, 4 tsp honey, 2 tsp minced garlic, 2 tsp chili powder, 1 tsp ground cumin and 1 tsp salt. Put baggie in the freezer and freeze up to 6 months in fridge freezer or 12 months in a deep freezer. Thaw in the fridge overnight, or a warm bowl of water for about 20 minutes, before transferring to the grill (or skillet) and grilling as directed. Thaw and grill in skillet or on grill pan. Slice steak once cooked. Assemble salad with lettuce, sliced steak, cherry tomatoes, avocado and vinaigrette.